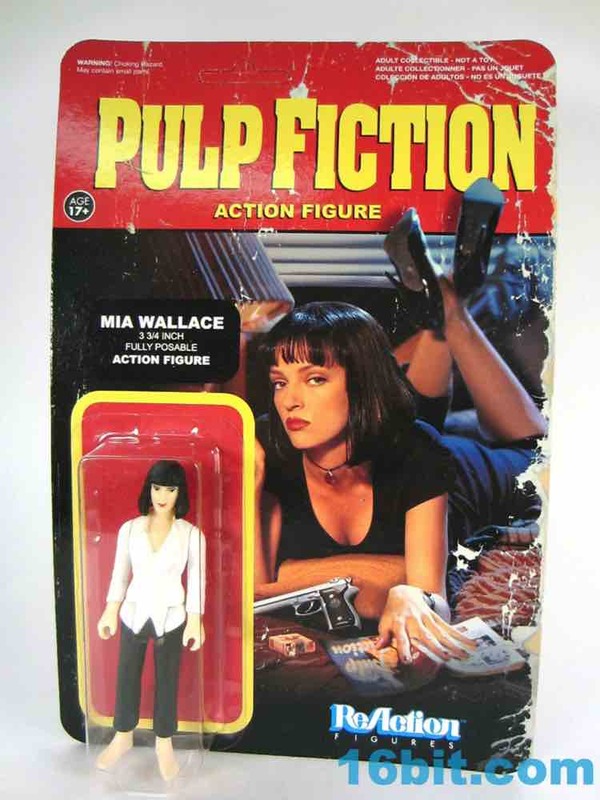 The idea of doing Pulp Fiction action figures is both outlandish and makes perfect sense. Director Quentin Tarintino's oeuvre tends to appeal to a group that also collects action figures. Also, the 1990s were packed with kid toy lines based on R-Rated movies. 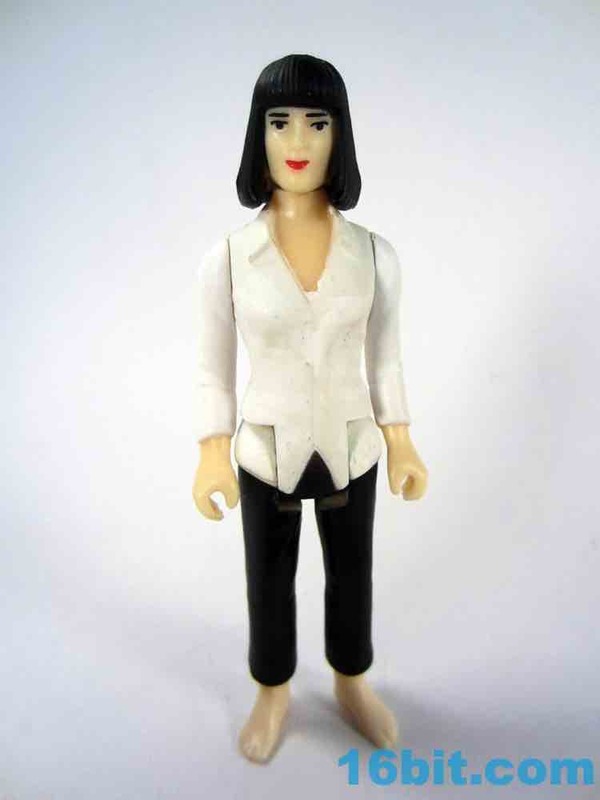 Mia Wallace makes all kinds of sense as an action figure thanks to her distinctive look and the general appeal of the movie to aging toy collectors. The Kenner 1970s look works well with the look of the movie, so if you're into this stuff it's a good fit for your toy box. 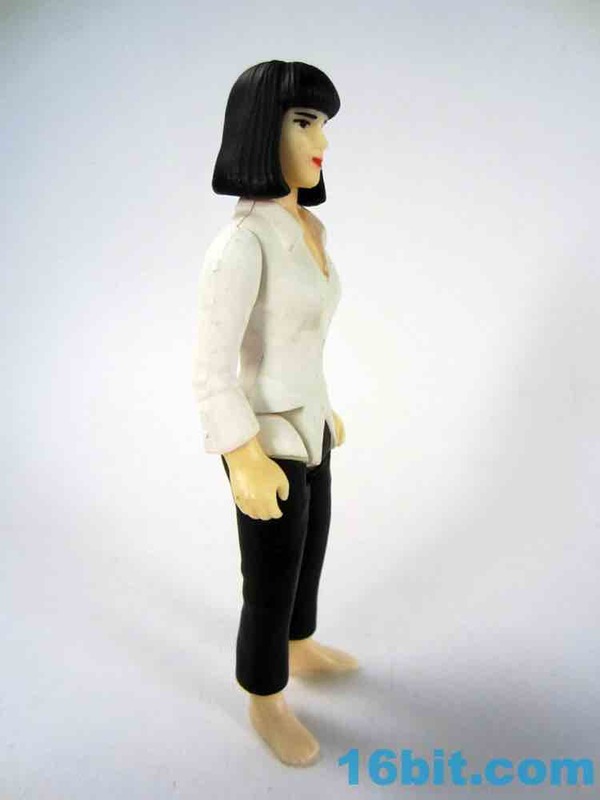 At 3 1/2-inches tall, she's a tiny bit shorter than the men in this style and is a hair taller than the original Princess Leia figures from Kenner. 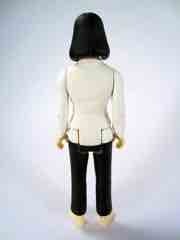 The engineering is similar, given the typical 5-joint stand-upright styling we've come to love from this era. 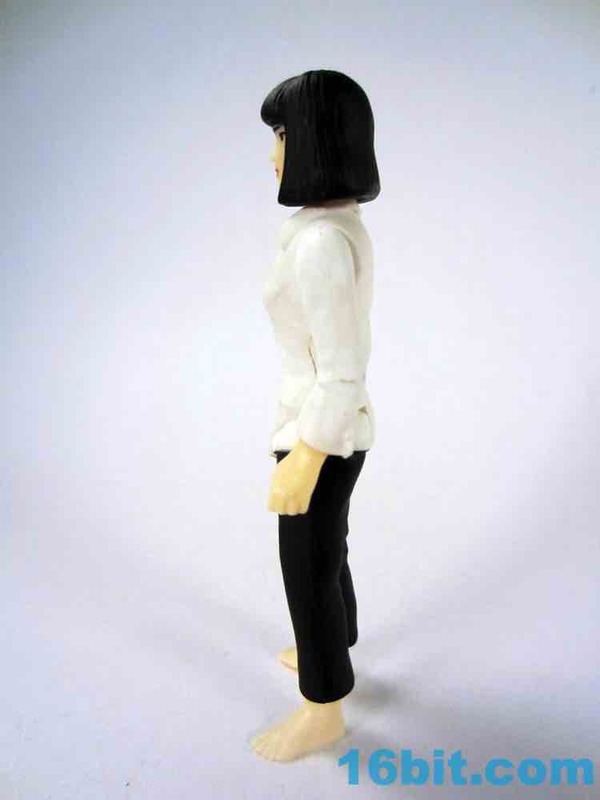 All of the joints move fairly smoothly - especially the head - so she feels closer to a real toy than some of the other releases in the ReAction line. My only complaint about her range of movement is that the legs both can't swing forward, which was an important hallmark of the era. 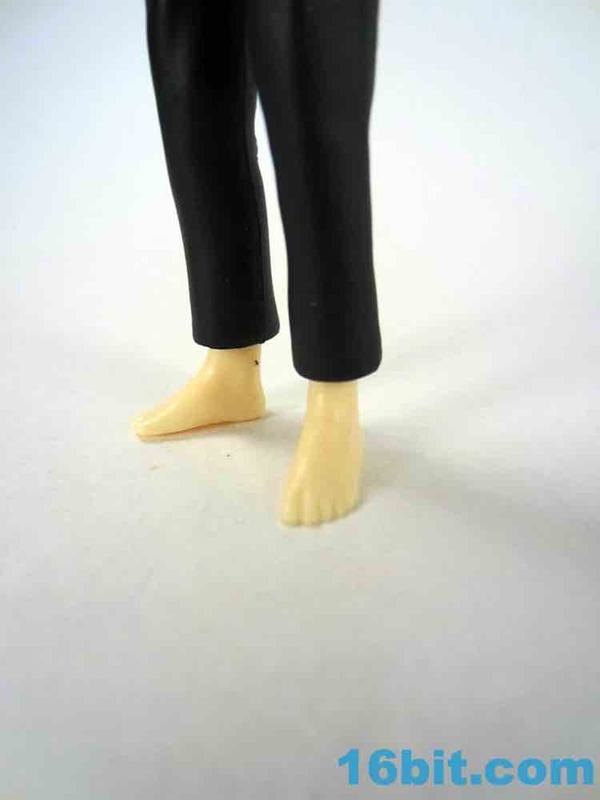 Every Star Wars figures could swing his or her (his, really) legs in front to fit in a vehicle, and only a couple had a v-crotch which prevented entry in a vehicle or in the case of Anakin Skywalker, hip joints which didn't quite move as far as you would like. 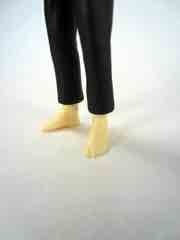 ReAction figures don't rely on a perfect likeness so much as they do the costume. Distinctive locks and the right garments do all the work here, and Mia has red lipstick (a nice, uncommon touch for this kind of product) as well as a simple button-up white shirt, black pants, and no shoes. 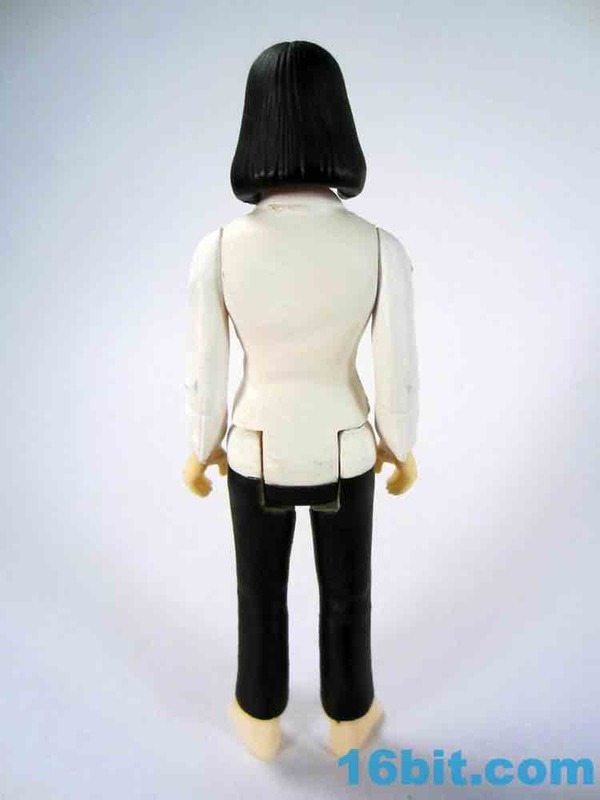 The haircut really drives it home, drawing your attention away from a face that sort of - but not quite - looks like Uma Thurman. That's the genius of the format of most Funko figures, accuracy be darned you're going to end up with a recognizable character on your desk or on your shelf. 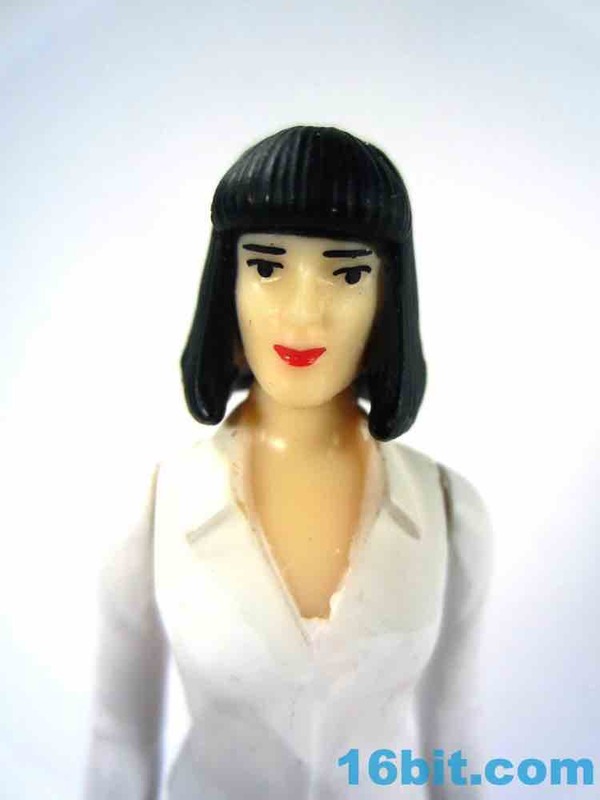 The entire line has pretty much identical packaging, featuring Mia Wallace in a different outfit. I'm assuming this is for licensing reasons, but to make life exciting I'm not going to ask around and find out. Early press photos showed a different photo on the packaging, which does not seem to have been released into the wild. 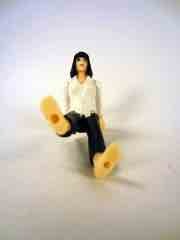 As these kinds of figures go, this is a pretty good one - she can stand unassisted and on the whole the joints all move. There are no accessories, so what you see is pretty much what you get. For less than ten bucks you ought to get one, over that and maybe you should shop around. I have no regrets, although based on the deco and feel of the paint I'm going to treat it more like a collectible than a toy.